Is ADD a Serious Problem in Miami? 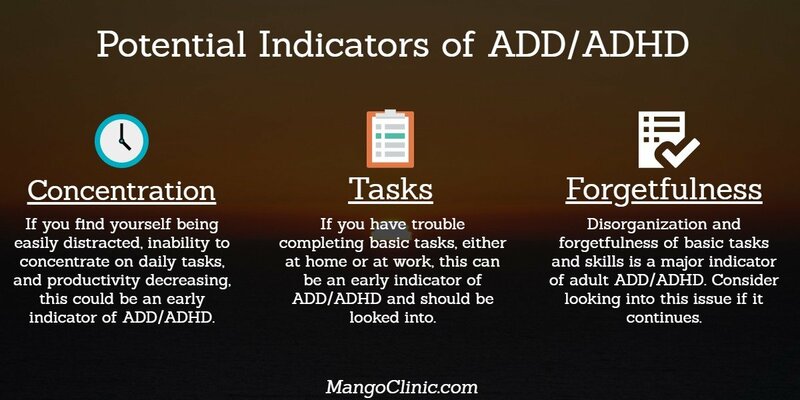 Do you have ADD/ADHD? Studies estimate that ADD/ADHD affects nearly nine million adults in the U.S; however, only a few receive accurate diagnoses and undergo proper treatment. Research shows that the condition can impair social, occupational and academic functioning, resulting in academic underachievement, underemployment, difficulties in personal relationships, conduct problems, and motor vehicle safety. It also causes hyperactivity, although this may decrease over time. Adderall is the most commonly prescribed drug for Attention Deficit Disorder treatment. Nearly 50% of adults with ADD also suffer from associated psychological conditions such as borderline personality disorder, anxiety, bipolar disorder, depression, and others. The co-existence of these conditions makes it difficult to accurately diagnose ADD since symptoms are remarkably similar to that of ADD. Medical practitioners must determine if the patient has ADD or a mental disorder with symptoms similar to that of ADD, or both ADD and a mental disorder. Speak with a licensed ADD doctor in Miami today, call us now. These symptoms can either be direct manifestations of ADD or a result of issues with proper social adjustment. Depending on the situation and innate disposition, ADD patients can exhibit antisocial tendencies (such as withdrawing from friends and family) or become uncomfortable when left alone, thus requiring and demanding constant social attention. If left untreated, ADD will adversely impact the quality of the patient’s life and upset several key areas, such as proper management of home life, ability to foster close relationships, and being successful at work. Adderall can help with symptoms. To determine if ADD is a serious problem, speak with a licensed ADD doctor in Miami today. Let’s take a look at some of the ways it can impact your daily life. One of the major ways ADD affects a patient’s life is in his/her level of happiness. The symptoms of ADD can wear you down, causing you to feel overwhelmed with life or overreact when confronted with stressful situations. It makes you tired, anxious, and nervous while making you feel like you are on an emotional roller coaster. This could lead to feelings of depression, rendering you incapable of enjoying the pleasures of life. Adult ADD can make it difficult to finish projects, whether big or small. This means that little household tasks such as paying bills, house cleaning, laundry, etc. are either not done properly or not done on time. The same goes for larger projects such as completing a house renovation project, taking classes to improve professional skills, etc. These manifestations of ADD significantly impact your productivity, thus reducing satisfaction and overall efficiency. When it comes to relationships, most people see ADD sufferers as impulsive, inattentive, distant, and unconcerned; however, this is not the case. ADD symptoms make it difficult for patients to be effective communicators and attentive listeners, meaning that they are not their best in social settings. Miami ADD patients may forget important information such as partners’ birthday, anniversaries, and social events and may interrupt others when speaking. As such, many persons see them as socially inept or immature and may begin to keep their distance. ADD can also impact a patient’s feeling of worth and self-esteem. Since symptoms of ADD make patients unable to complete projects or precisely focus their thoughts and energy on a particular undertaking, it makes them question their capabilities. This could reduce the feeling of self-esteem and confidence they have in themselves. Others may also feel that ADD patients cannot be relied upon to complete projects as at when due, further worsening the situation. These are just a few ways that ADD negatively affects the everyday life of those suffering from the condition. In short, yes: ADD is a serious issue and can affect the quality of life of a patient. 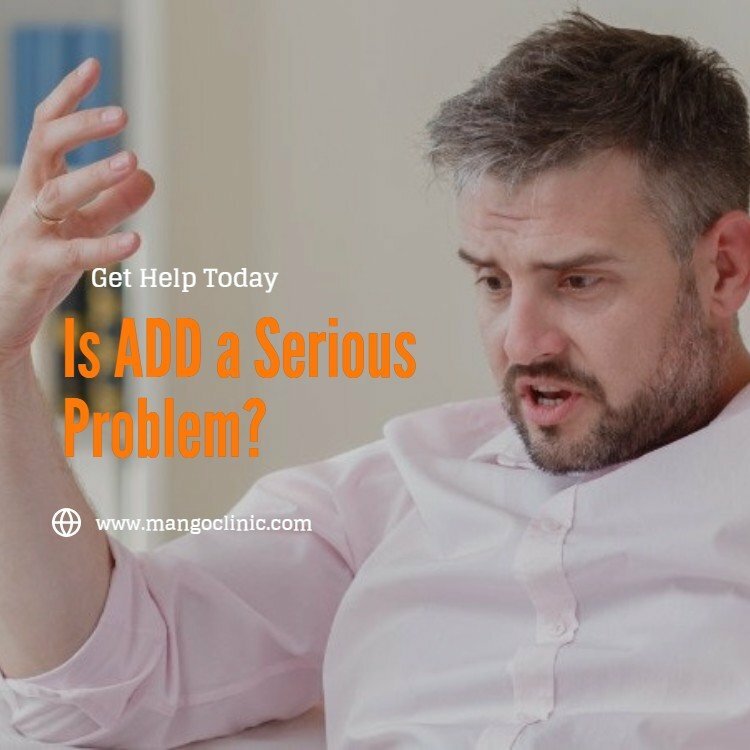 The good news is that accurate diagnosis, management, as well as appropriate Attention Deficit Disorder treatment in Miami can greatly improve the symptoms and manifestations of the latter. You do not need to live an unsatisfactory or unhappy life, incapable of creating deep and meaningful relationships with those you care about or underachieve in your chosen career or profession. 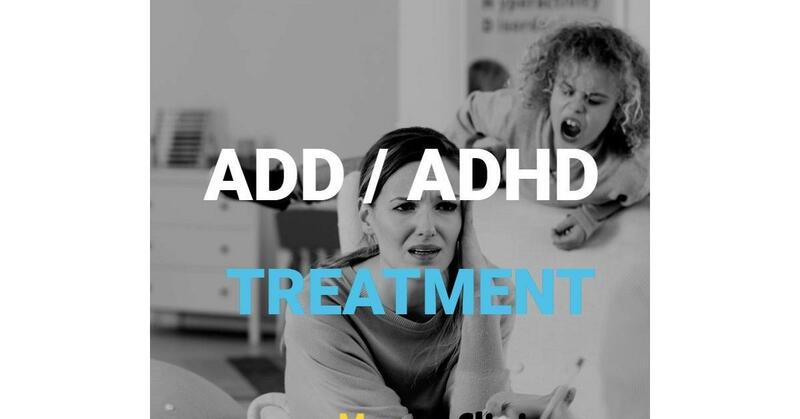 If you would like to meet with a qualified physician to discuss your Attention Deficit Disorder treatment in Miami and see if Adderall prescription can help, please schedule an appointment at our ADD/ ADHD Miami clinic by calling (305) 776-2898.
previousHow Does Sugar Impact ADHD?